While GameStop primarily sells video games, they do also sell various forms of gaming merchandise from different franchises. Recently, coin albums inspired by The Legend of Zelda and Super Mario have appeared as brand new merchandise at GameStop. The coin albums themselves contain spots for 10 coins each, with the coins themselves representing different items from Breath of the Wild and the original Super Mario Bros respectively. 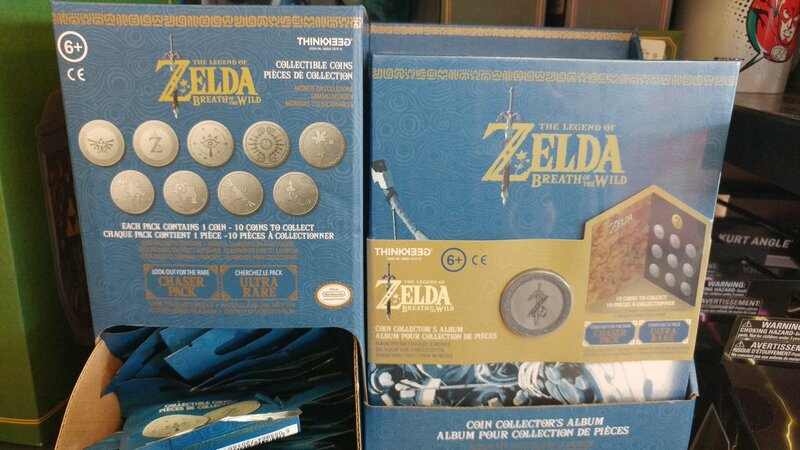 For a closer look at the Legend of Zelda coins and coin album, YouTuber Hassan Ahmed has also released an unboxing video showcasing some of them, which can be found here. But what do you guys think? Would you be willing to collect every coin to fill up the album? Let us know in the comments below!